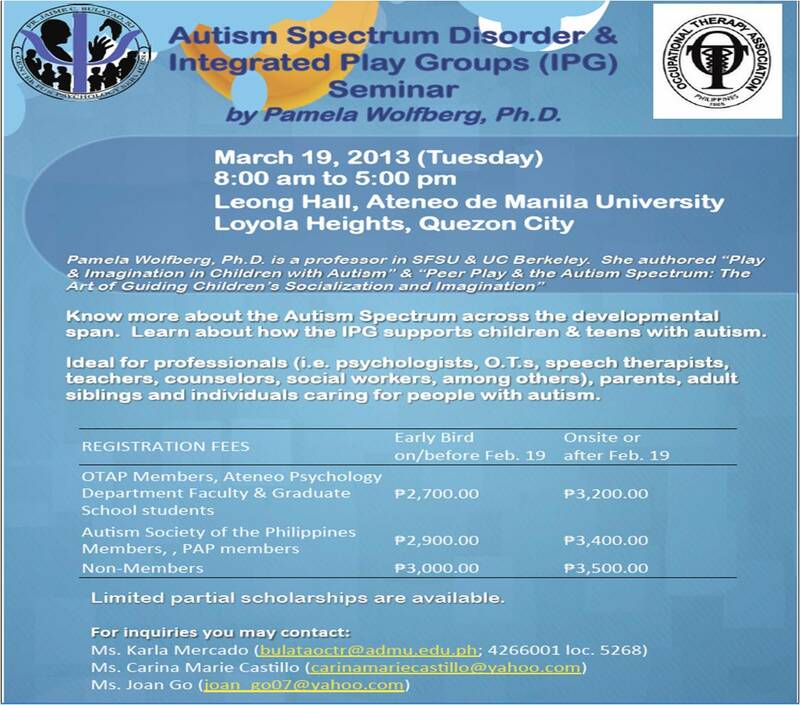 Dr. Pamela Wolfberg who is a highly esteemed authority on autism spectrum disorder is coming to Manila to lead a one-day seminar on autism and her Integrated Play Groups (IPG) Model on March 19, 2013 at the Ateneo de Manila University-Loyola Campus. Dr. Wolfberg is a professor of special education at San Francisco State University and co-founder of the Autism Institute on Peer Socialization and Play. 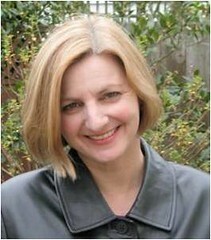 She has more than 20 years of experience as an educator and international speaker, researcher, and practitioner devoted to diverse learners on the autism spectrum. Dr. Wolfberg is the recipient of several distinguished awards for her scholarship, research, and service to the community, and is the editor of numerous professional publications. Her book Play and Imagination in Children with Autism, which is based on her doctoral dissertation, earned her a distinguished award from the University of California, Berkeley. As author of the IPG model, Dr. Wolfberg will discuss during the seminar the scientifically proven ways to promote communication and social skills, and play development in children of diverse ages with autism. Based on award-winning research, the IPG model has been found to be effective with children on the autism spectrum and typical children representing diverse ages, abilities, socioeconomic groups, languages and cultures. This one-day seminar is open to all families, and professionals (teachers, psychologists, allied health professionals) who want to learn more about autism and the application of the principles of IPG. Limited scholarships are available. The event is co-organized by the Occupational Therapy Association of the Philippines, Ateneo de Manila Fr. Bulatao Psychological Center and the Ateneo PhD Internship Class on Clinical Psychology (2012-13). For details about the seminar and registration, you may email Ms. Karla Mercado at bulataoctr@admu.edu.ph or contact her at at 426-6001 loc. 5268.